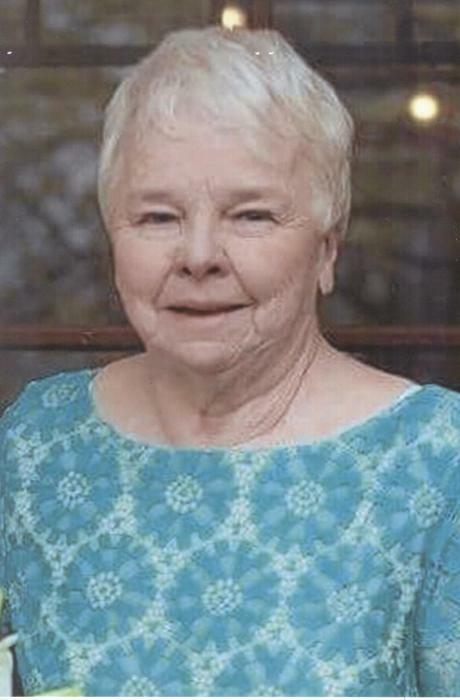 Joyce F. Brownfield, 77, of Barnesville, Ohio passed away on Monday, July 2, 2018 at Emerald Pointe Nursing and Rehab. She was born on April 15, 1941 in Barnesville, Ohio to the late Victor Clayton and Myrtle Ellen (Wylie) Rowley. She loved her family and watching her grandchildren and great-grandchildren grow up. Joyce and Woody were former owners of Woody's Restaurant. In addition to her parents, Joyce was preceded in death by her husband, Byron D. "Woody" Brownfield on February 8, 2018; two sisters, Linda Rowley and Vicki J. Ackerman; and a brother, Robert Rowley. Joyce is survived by a son, Byron Keith (Debra) Brownfield of St. Clairsville; two daughters, Debra (Greg) Wise of Bethesda and Penny (Keel) Christman of Barnesville; seven grandchildren, Jeff Wise, Beth Dennis, Tyler Brownfield, Meredith Maloney, Trent Brownfield, Hannah Smith, and Mallory Christman; six step-grandchildren, Rick Phillips, Amanda Phillips, Joe Phillips, Maranda Gramlich, Aaron Lucas, and Alisah Lucas; 14 great-grandchildren; eight step-great-grandchildren; two sisters, Judy (Bill) Gibson of Barnesville and Lois (Tom) Hart of The Villages, Florida; sister-in-law, Sandra Boulet; and several nieces & nephews. Visitation will be held on Friday, July 6, 2018 from 4-8 PM at Campbell-Plumly-Milburn Funeral Home, 319 North Chestnut Street, Barnesville, Ohio where services will be held on Saturday, July 7, 2018 at 11 AM with her grandson, Pastor Jeff Wise officiating. Burial will follow at Stillwater Friends Cemetery. In lieu of flowers, memorial contributions may be made in Joyce's memory to Stonerise at Home and Hospice, 68150 Bayberry Drive, St. Clairsville, Ohio 43950 or to consider becoming an organ donor in honor of her grandson, Tyler Brownfield who has received the gift of life. To send a note of condolence please visit www.CampbellPlumlyMilburnFuneralHome.com or follow us on Facebook.